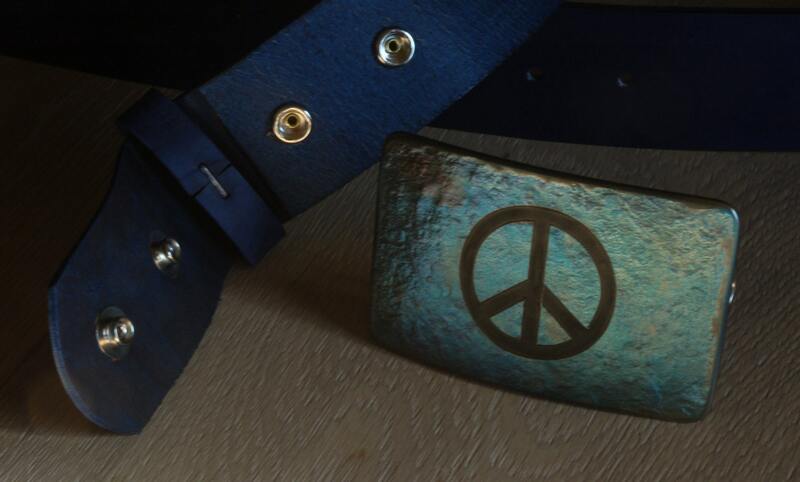 Buckle fits 1.75" Hand Dyed Blue Belt. 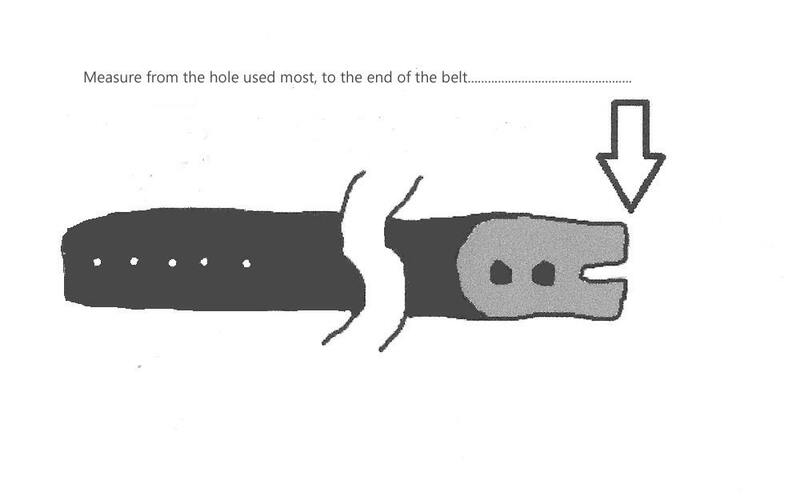 Please use the "how to sketch" in listing photo to measure your existing belt for a new custom fit belt. 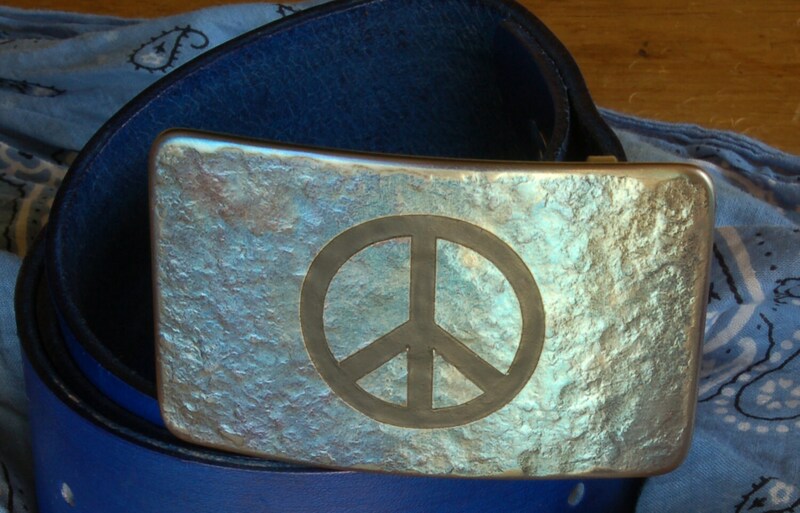 Buckles to fit 1-1/4" belts or 1-1/2" belts also available. Please contact. 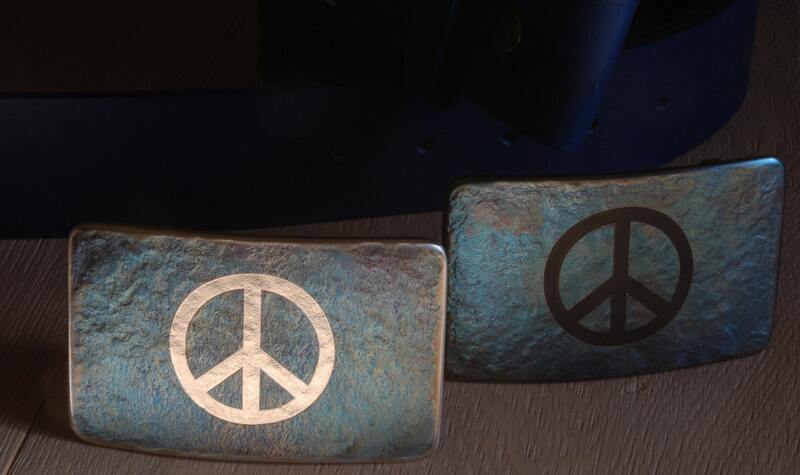 Favorite us on Etsy, FB & Twitter to get the latest...hot off the anvil! 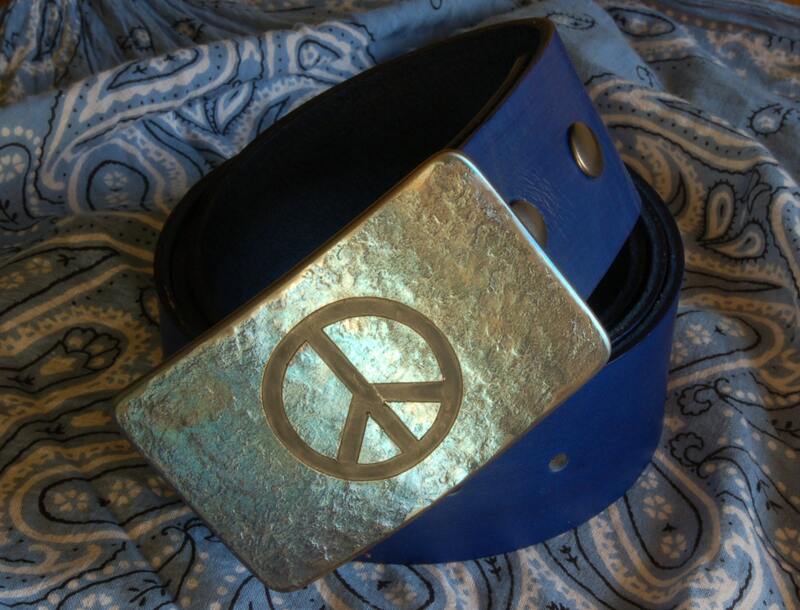 Buckles Sold & Shipped Worldwide!